It has been with her for at least 20 years and she loves it. She always tells me it is one of the best. 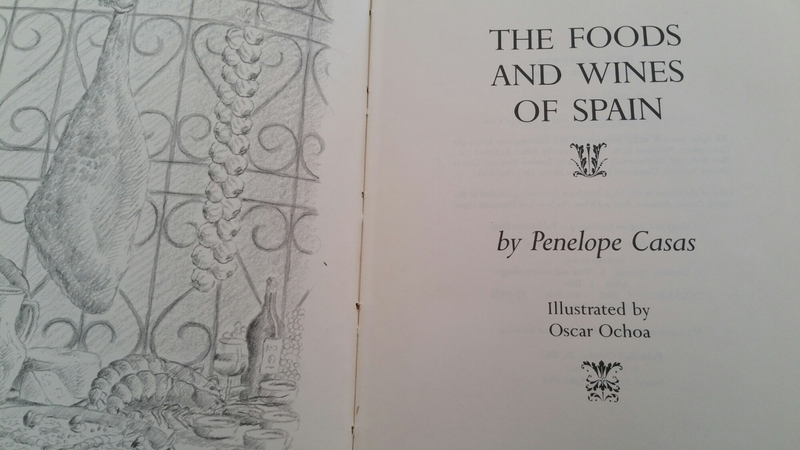 This mussel recipe comes from this book and it really is delicious. One of my favourites! You can’t go wrong. It is best prepared the day before. Mix the oil, vinegar, capers, onion, pimiento, parsley, salt and pepper in a bowl. Scrub the mussels well and remove the beards. Throw away any that don’t close tightly. Put 1 cup of water in a skillet with the slice of lemon. Add the mussels and bring to a boil. Remove the mussels as they open and let cool. Remove the mussel meat from the shells and add them to the bowl with the marinade. Cover and refrigerate overnight. Reserve half the mussel shells, clean them well and put them in a plastic bag in the fridge. 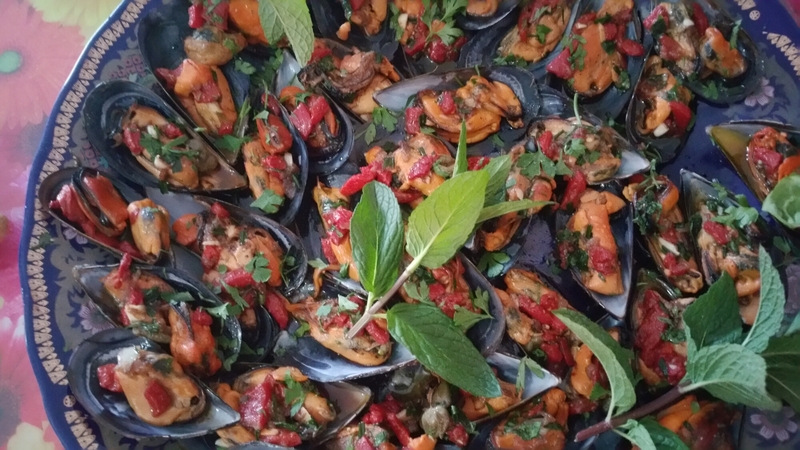 Before serving, replace the mussels in their shells and spoon a small amount of the marinade over each. BTW Wish you Good Friday and Happy Easter! So what all are you preparing on Easter? Thank you so much, Ema! I don’t know what I am doing yet! Have to check my cookbook I brought on our road trip! While my husband drives, I read recipes! What are you going to do? Thank you so much! Moms seriously rock! You’re welcome! My mom says it is one cookbook she would never part with! I hope she doesn’t…I would seriously miss the goodies she makes from it hahaha!